Automation testing is a technique used to improve the execution speed of verification/checks or any other repeatable tasks in the software development lifecycle. During regression testing, a manual tester will take an existing test case procedure and execute it step by step. This can be time-consuming since it is a manual process done by hand. Because of this, to save time, many companies try to take their manual test cases and convert them to an automated test case. An automated test tool then executes the test steps automatically without human intervention. Also, automated tools use a programming approach to emulate a user interacting with an application and verifying test steps using programming assertions. The term “‘automation testing” can also be controversial with many folks preferring to use the term automated checking or automation in testing. In any case, before we take a look at automated testing, let’s touch on some issues with manual testing. Due to their repetitiveness, testers may get bored and miss steps when executing manually, leading to possible inconsistencies. Like automated testing “manual testing” can also be a controversial term. In fact, Michael Bolton has gone as far as to say that manual testing does not exist. 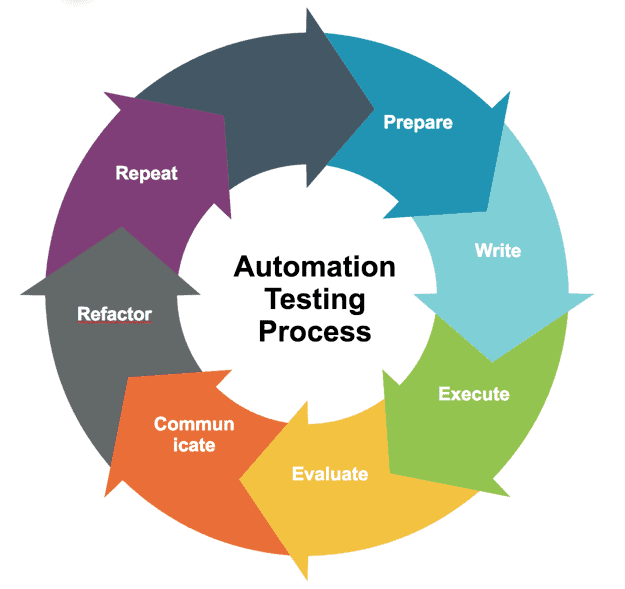 Automation testing should be used to help with your testing efforts. But does automation replace all your tests? 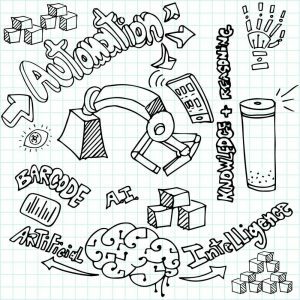 Does Automation Testing Replace Testers? Some people assume it automation means to replace human testers. In actual fact, however, it’s the opposite. Automated tests are great for running tests precisely and quickly but they in no way replace human testers. Automation is also great for running the same steps over and over again, but they don’t actually think. Although we can agree that automation testing does not replace other testing activities, with today’s software development environment and continuous integration practices it is critical. With the increased speed in which we develop software, we need automation testing. Another reason is that Agile and DevOps practices demand more automation. Practices like continuous integration and delivery require automated tests that run quickly and reliably. I’d actually go so far as to say that in today’s modern development environment, we can’t succeed without automation. For more info on the difference between an automation testing engineer and a tester along with typical automation testing salary info check out SDET vs. Tester: What’ss the Difference? Since automated testing relies on programming languages for their creation, automation becomes a full-blown development effort. As a matter of fact, what you are doing is developing a piece of software to test another piece of software. Treat your automated code just like your development code. Follow the same processes and best practices you would use for any other software development project. Automation testing is difficult and complicated, just like most other development software projects. It also presents many of the same issues other software programs do. So the same best practices for developing software also applies to automation as well. Treating your automation as a second-class development project will cause maintenance and reliability issues in the long run. Since automated tests usually rely on programming languages for their creation, automation becomes a full-blown development effort. What you are doing is developing a piece of software to test another piece of software. Automation testing is difficult and complicated, just like most other development software projects. It also presents many of the same issues other software programs do. Treating your automated code just like your development code is essential. You must follow the same processes and best practices you would use for any other software development project if you are going to succeed. If you ignore this advice you automation project will fail. What Test Cases Should be Automated? Test that are hard to test manually. 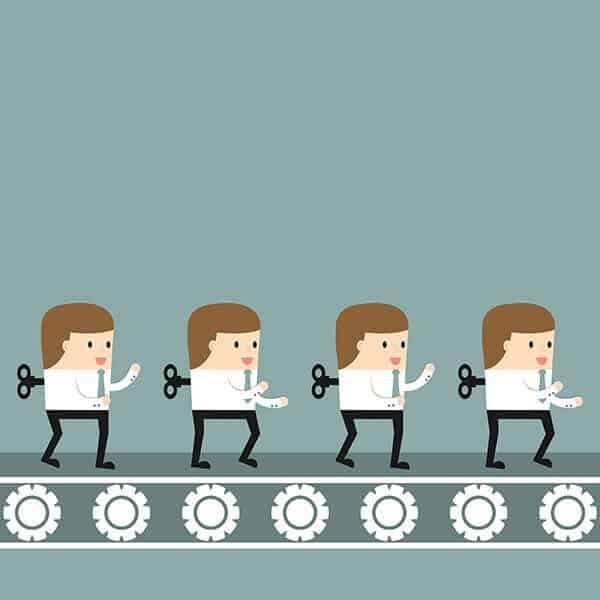 Ultimately, you should consider using automation for any activity that saves your team time. It doesn’t have to be a pure testing activity; you can leverage automation to help reduce the length of time-consuming activity throughout the entire development life cycle. 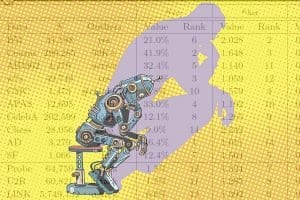 Determining the ROI of your automation testing efforts can be tricky. Here is a common calculation some folks use to get a rough estimate of their test automation costs. This can also help you decide whether a test case is even worth automating as opposed to running testing it manually. It’s a given that your applications are going to change over time. And since you know change is going to happen, you should start off right from the beginning using best practices or design patterns, like using page objects, doing so will make your automation more repeatable and maintainable. First, prepare – understand the functional testing objectives. Understand what test data is needed. Know what needs to be verified. Turn the requirements into an automated solution. Know what the start and end conditions are for each test. Tests should be completely independent of other tests. Add proper assertion checks to ensure your application is behaving according to your specifications. Each test should have a particular purpose. Execute your tests should be reliable. Run each test at least three times in a row before checking in code. verify that the automated test is doing what you expect it to do. Have manual tests verify that it is working as expected. Remember — if it’s not asserted, it’s not checked. Be sure that everyone on your team is aware of the results. Flaky tests should be fixed ASAP, or you’ll risk your team ignoring your test results. if you notice a flaky test, refactor it to make it more reliable. Most importantly, deletes any tests that are not reliable and haven’t been fixed within a given time frame. Because tests need to run quickly, test size matters. At this point, many people visualize a traditional test pyramid, which has unit tests as its base. Integration tests are in the middle, and GUI tests are at the top. But I think more in terms of test size. By test size, I’m referring to tests that are faster than others. While I understand the need to run UI tests if you have to create one, make it as fast as possible. Don’t do all UI end-to-end journeys. In addition, when an automated test fails you need to know why. Furthermore, you should endeavor to get feedback to your developers as quickly as possible, and the best way to do that is with a fast, well-named test. Unit test, integration test tend to be faster. 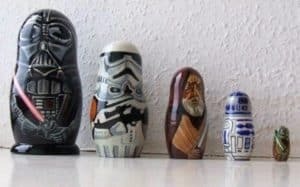 If you’re into Star Wars, you notice that Yoda in the image above is the smallest test size, and they tend to be more powerful too. As you move up the pyramid, UI tests can be evil and can drive you crazy, so although you need them, just be careful. You might have seen recent job postings in areas like Silicon Valley looking with the title of SDET. Most of these positions require someone that knows how to create test automation in a programmatic way. The good news is that many of these jobs offer higher salaries than for a standard tester. How much more? On average I’ve seen the difference to be over $32,000! Check out my post on SDET vs. Tester: What’s the Difference? (The answer may surprise you!) for more detail info. There is no “correct” test tool for automation testing. Ultimately, it all depends on your team’s unique needs and skill set. Also, you sometimes need a combination of different tools to get the coverage your application requires. Look at the product roadmap and make sure the tools you select will handle future features and technologies. Evaluate the cost, including maintenance. Use a tool that a leverages the same tools and languages your developers use. Don’t just assume a tool will work for you. Create small POC for each tool and get team feedback before committing to anything. How easy is it to use and get started? Does it provide reporting and debugging capabilities? Does it recognize all the objects in your application? Can it integrate with other tools like version control, test management tools, continuous integration tools? Find out if the tool has an active user base. Select tools that other companies are using. How much training will it take to get your teams up to speed with the tool? Selenium – has arguably become the de facto test tool standard for a browser-based testing. Please remember: you cannot use selenium for non-browser applications; not everything can be an automation testing Selenium script. Appium – Automation for apps. Appium seems to be the winner in the mobile testing space so far. Watir – is an open source Ruby library for automating tests. Watir interacts with a browser the same way people do: clicking links, filling out forms and validating text. Sikuli – What’s cool about SikuliX is that it allows you to automate anything you see on your screen using image-based testing. White Framework – White is a framework for automating rich client applications based on Win32, WinForms, WPF, Silverlight and SWT (Java) platforms. It’s .NET based and doesn’t require the use of any proprietary scripting languages. In fact, test automation programs using White support your writing with whatever .NET language, IDE and tools you are already using. White also provides a consistent, object-oriented API, hiding the complexity of Microsoft’s UIAutomation library (on which White is based) and Windows messages. AutoIt – AutoIt v3 is a freeware BASIC-like scripting language designed for automating the Windows GUI and general scripting. Many teams integrate AutoIT with Selenium to work around non-browser windows that appear in an automated test workflow. Serenity – One of my favorite automation frameworks around. Serenity is a great open-source tool because it acts like a wrapper over Selenium and BDD tools like jBehave and Cucumber JVM. That means there’s a lot of built-in functionality available to you in Serenity that takes care of many things you would normally have to code from scratch if you had to create your own BDD framework. What Serenity is really awesome at is creating unbelievable reports. Out-of-the-box Serenity creates living documentation that can be used not only to view your Selenium BDD test results but also as documentation for your application. Sahi – The first thing you need to know is that Sahi comes in two flavors: open source and a pro version. Sahi Pro is the enterprise version of the open-source project. It includes lots of features coveted by larger organizations. RedwoodHQ takes a little bit of a different approach from the other tools on this list. It creates a website interface that allows multiple testers to work together and run their tests from one web-accessible location. Galen – If your automation efforts are focused on User Experience Design (UX)/Layout testing, Galen Framework might be a perfect fit for your needs. Applitools – Actually Applitools integrates with both Vendor and Open-source solutions. If anyone has tried doing any sort of visual testing using tools like Eggplant and UFT Insight, you know how hard it is to make these types of tests reliable. Sometimes the tests are so fragile you can only run them on the same machine they were developed on to avoid flaky tests. There are many reasons for this, but it’s mostly due to pixels being slightly off from one browser or OS. Applitools is different in that it was developed from the ground up for visual validation and its sophisticated algorithm was designed to handle many pixel issues that most other image-based testing tools have a hard time handling. Applitools allows you to find and automatically detect all the visual bugs to validate the visual correctness of your application. UFT LeanFT – Essentially combines the best of both the vendor-based and open-source worlds by morphing Selenium with some key functionality currently found in UFT (QTP). Microsoft CodedUI – Actually uses Selenium to help test Chrome and Firefox browsers. But unlike Selenium, which is only for web-based testing, CodedUI is unique in that it allows you to automate a bunch of different technologies and is not limited to the browsers. IBM Rational Functional Tester – Like most companies, IBM’s test portfolio has grown with the acquisition of tools like Rational and Green Hat. It appears that much of the strength of its functional test tools comes from its support of numerous technologies including Windows, Mac, and mobile platforms. Tricentis – Self-billed as “the continuous testing company,” which is in line with Gartner’s finding that one of its strengths is its extensive efforts to support Agile testing and continuous improvement processes. Worksoft – Worksoft is well known for its ERP business end-to-end solutions. TestPlant – One of the few test automation tools listed that has strong support for Apple’s platform. In fact, because of its unique, image-based recognition approach, it has the ability to test hard-to-automate applications — especially those with object recognition issues. Unfortunately, anyone who has done image-based, functional test automation knows how difficult these types of tests can be to maintain, and some customers noted that as an issue. Ranorex – Supports a ton of technologies across all kinds of platforms — all from one tool. Noteworthy, however, is that it lacks a full, end-to-end solution and focuses mainly on functional test automation. Progress – For those of you who may not be familiar with this company, Progress recently acquired Telerik, which is the home of the popular free debugging tool Fiddler. Also I know a few test engineers who actually use Progress’s Test Studio as a front end for their Selenium test automation efforts. Strengths of Progress are its integration with Visual Studio and its supported languages. Automation Anywhere – Does not support testing for packaged applications like SAP. Also lacks support for native mobile apps testing. Rest-Assured – Rest-Assured is an open-source Java Domain-specific language (DSL) that makes testing REST service simple. It simplifies things by eliminating the need to use boiler-plate code to test and validate complex responses. It also supports XML and JSON Request/Responses. Postman – Postman is a rest client that started off as a Chrome browser plugin but recently came out with native versions for both Mac and Windows. Karate – Since Karate is built on top of Cucumber-JVM, you can run tests and generate reports like any standard Java project. But instead of Java – you write tests in a language designed to make dealing with HTTP, JSON or XML – simple. SoapUI Pro – Since the free version is open-source, you can actually gain access to the full source code and modify as needed. The pro version is more user-friendly, and has additional functionality including a form editor, an assertion wizard for xpath, and SQL query builder. UFT API – In previous releases HP had separate products for functional testing. QuickTest Professional (QTP) was used for testing GUI applications, and Service Test was for testing non-GUI technologies. HP’s latest test tool release — Unified functional Testing (UFT) — combines both products and features a frontend that merges the separate tools into one common user interface. Allure – an open-source framework designed to create test execution reports clear to everyone in the team. Here are some vendors that allow you to save a ton of time by running your test in the cloud and on multiple OS, devices, configuration. Get rid of the headache of having to maintain your own in-house lab/grid. Zephyr – Manage all aspects of software quality; integrate with JIRA and various test tools, foster collaboration and gain real-time visibility. 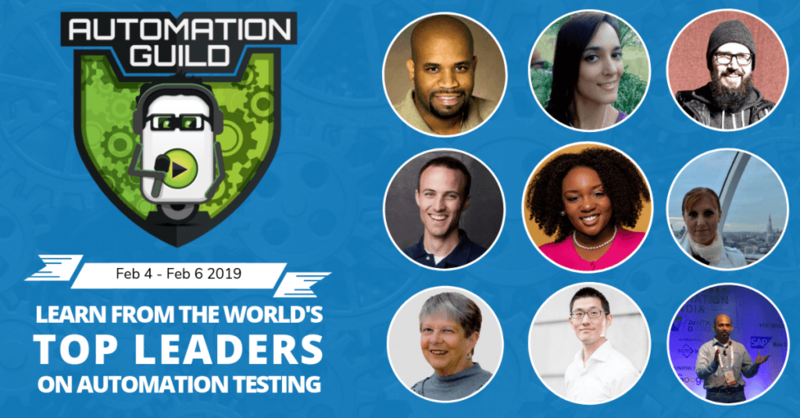 AutomationGuild – Automation Guild is the first ever event of its kind, 100% online conference that is dedicated to helping YOU perfect the craft of creating automation awesomeness and accelerate your automation career. If you missed the LIVE Automation Guild event? No worries! Due to demand I decided to keep registration open. So you can still get all pre-recorded sessions and recorded Q&A now! 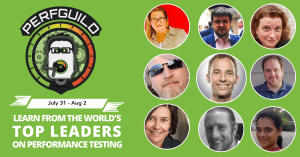 PerfGuild – the first ever online conference dedicated 100% to performance testing. SeleniumConf – SeConf brings together Selenium developers & enthusiasts from around the world to share ideas, socialize, and work together on advancing the present and future success of the project.